In part 1 of this series, HE IS QUOTING SCRIPTURE AT ME! NOW WHAT DO I DO? — PART 1, we introduced the topic (Since commenters have had a lot to do with this series of posts, when I say “we” I mean exactly that.). How do we know when those who claim authority over us as our governmental leaders have been appointed by God? If we going to submit to the governing authorities, we have to know just who the governing authorities might be. Consider what insanitybytes22 had to say about the topic. Is always crystal clear who God has appointed as the governing authorities? Do we always want to be subject to the governing authorities. Have we never heard of a civil war? Of course, we have. In the West, Kings once claimed to rule by divine right, but we no longer take such claims seriously. Yet many once took the claim quite seriously. Consider this definition. 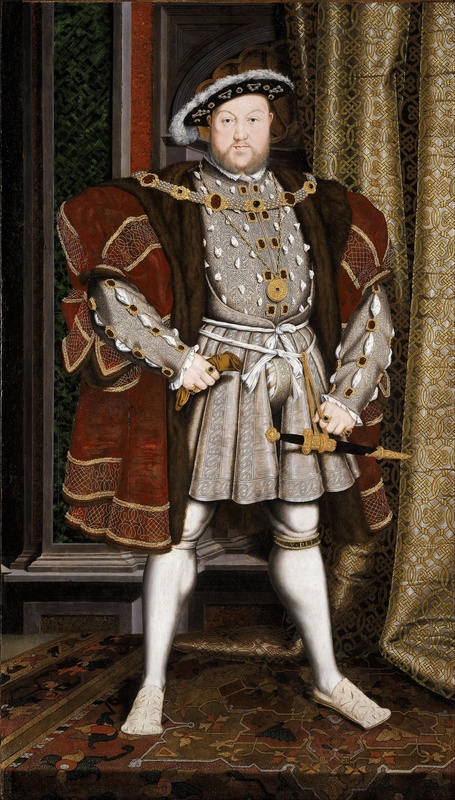 One of the first proponents of the divine right of kings was King James I. Originally known as James VI of Scotland, King James I held the three crowns of Scotland, Ireland and England in the early 17th century. During his reign he sponsored the Bible translation that bears his name, the Authorized King James Version. He wrote a treatise called “The True Law of Free Monarchies,” in which he argued that kings were superior to other men and had royal prerogative to impose laws as they saw fit. Across the English Channel, the French King Louis XIV was also a strong advocate of the divine right theory. By the late 18th century, with the American and French revolutions, support for the theory weakened, and by the beginning of the 20th century, the theory was defunct. Over time the criteria we use to justify authority changes. When peasants could not read, and the priests told them that kings had the divine right to rule, that made the rule of kings easier to accept. When peasants learned to read, they could not discover where in the Bible God had given their kings the right to rule. So that theory slowly declined in favor. What theory do we use to justify the powers we give to authorities who govern us? Do we still believe God appoints our governing authorities? Those of us who are Christians believe in the sovereignty of God, but do any of us think one of God’s appointed prophets anoints each of our rulers? No. When we look at the history of man, what stands out? Warfare. Men have stood up an proclaimed their right to rule, and with the force of arms they have striven with each other for dominance. And each has offered up some excuse for the violence of their conduct. Some have called upon their gods. Others have proclaimed everyone but their own people inferior. Some have offered complex ideologies such as Nazism and Communism. Only the great Democracies have tended to renounce warfare, claiming to follow the Rule of Law. Authority (plato.stanford.edu) (an entry in the Stanford Encyclopedia of Philosophy) addresses when political authority is legitimate. The long discussion suggests the subject is more complex than we might at first think. Consider how section 1 begins. What is normative? That depends upon the expectations of the people in a particular country. An Islamic theocracy might be acceptable to the people of a Muslim country, for example. On the hand, the people of the West have replaced monarchy, once acceptable in the West, with more democratic rule. What is de facto authority? We have a de facto authority when the ruler governs in fact or in actuality, regardless of what others consider the morally legitimate authority. Note that a few philosophers consider the distinction between morally legitimate and de facto authority a distinction without a difference. When we consider the issues related to Romans 13:1, does it make any difference whether the governing authorities are a morally legitimate or de facto authority? To grasp the difficulty of the problems involved, let’s consider some real world issues from today and from the past. Since Lander7 brought this up, and it is the issue that got this series start, here is a quote. Once the leader is in place there should be no more resistance only support per what God stated. There is a time to petition God (Prayer, voting) and then there is a time to obey and support. When I see the negative comments about Democrats or Republicans I see the evil division that is in fact “disobedience”, rather than cooperation and peace as stated in the Bible. Of course, there is a problem. Generally, when there is a dispute, most people see the dispute as the other guy’s fault. Right now, for example, the news media and Liberal Democrats (Most of the members of news media are Liberal Democrats.) are trying to blame President Trump for separating the families of illegal immigrants (parents from their children), but Trump is just trying to enforce laws that go back to the administration of George W. Bush. These laws and their lax enforcement are to blame. What is most comical (or disgusting, depends on your sense of humor) about this dispute is that the vast majority of illegal immigrant children seem to be arriving at the border without their parents. With a little investigation, the dispute becomes quite ridiculous. When an American citizen breaks the law, do we send his or her children to prison with him or her too? No? Then why do advocates for open borders insist we should treat illegal immigrant lawbreakers better than our own citizens? Because Liberal Democrats love children? When these same people insist taxpayers pay for abortions? Many think the argument over separating families at the borders obviously contrived. Why? They think the news media wants to divert the public from the investigation of corruption in the DOJ and the FBI that occurred during the administration of Barack Obama. The severity of the rivalry between Conservative Republicans and Liberal Democrats is the issue of our day. So we should focus on this, but we should probably also consider what we can learn from the past and the Bible. Because the Founders of this nation did not take idea of rebellion against the governing authorities lightly, they wrote the Declaration of Independence. Did they have Romans 13:1-7 in mind? Perhaps. When we consider the American Revolution with respect to the American Civil War, we have a study in contrasts. Both were civil wars. Both were quite bloody. Today we consider the rebels who won the American Revolution fighters for a good cause and the rebels who lost the American Revolution fighters for a despicable cause. What is not obvious is whether rebels in the American Revolution violated Romans 13:1-7 and the rebels in the American Civil War did not. In 1776, the British Crown clearly ruled the Thirteen American colonies. Did the rebels violate Biblical teachings when they rebelled? In 1861 the South rebelled against Union. Our Federal government is a creation of the States. Whether slavery was evil or not, did the States still retain the right to secede? Adolf Hitler lead Germany. His government was the de facto if not the legitimate governing authority. At what point was it permissible to rebel against Hitler? History records numerous attempts to assassinate Hitler. The last involved a respected man of God, Dietrich Bonhoeffer. Was Bonhoeffer wrong to participate in the plot? Some of the comments to two previous posts are relevant to the issues raised here. When you comment on this post, please feel free to reflect upon and borrow from those comments. Imagine Ctom being the one who had to execute Herod’s directive for the slaying of the Baptist. Where the word of the king is, there is power, and the ’employee of the state’ was just fulfilling his job since he had punched the time clock!!!!! Oh my what a predicament for a good man to be in, to do something one does not want to do. In this scenario, the unjust killing of people must be a wake up call for the godless. There must be a day of reckoning! We instinctively know this. But yes, the powers that be are ultimately allowed, good or bad, by a sovereign God who knows and sees all. So we sit at 3am at a red light, with not a car in sight for a hundred miles, idling, wasting time and fuel, because the law says ‘red!’ We obey, not because we want to, but a ‘king’ said so. We take a chance and ‘go’ using common sense, and a cop comes out of nowhere of course, and gives us a citation, and is perfectly within his rights to point out our lawlessness. A wakeup call for the godless? I hope they/we don’t wait that long. Unless we pay attention to that revelation of what is good and what is bad that God wrote on our hearts, we have no point of reference for a “good” law. We only know what personally feels good. If we have waited for the state to start unjustly killing people in large numbers, what do we tell our children? “Fact: Immigrants (undocumented or not) are statistically far less likely to commit crimes than native citizens. (This only makes sense if you think about it for half a second). It makes sense if you think about LEGAL immigration for a half second. They are, after all, the ones who went through the work to be here LEGALLY. Makes no sense at all for illegal immigrants who are (if one ponders this for one tenth of one second) already committing a crime by being here illegally. Fact: Over time, immigrants pay more in taxes than they use in public services. Is this supposed to be a riddle? Q: How do Illegal immigrants NOT drain national resources? A: When they are LEGAL. Illegal immigrants don’t pay taxes nor do they obtain employee health benefits….that’s sorta why the companies are able to exploit them and save money. The primary reason North Korea and South Korea haven’t united is, the economy couldn’t sustain the influx of refugees. They’d survive a nuclear attack better than millions of refugees (as would China). It’s a biological weapon. They know this. That’s one big reason why they have given in for so many years to KJU and KJI before him. Right now South Korea is going through much the same thing as we are, with Yemeni asylum seekers at their border. What makes this issue different than from the US is that there is not a political party in South Korea that gains potential voters by allowing in people claiming to be refugees. The political implications is why this issue is burning so hot right now in the US before the mid-term elections. Sorry about the confusion. Never expected quite so many comments.